In another thread it was highlighted that Minkowski difference is not implemented in openscad. So how do we request a feature be added to openscad? I'd like this too... and Minkowski intersection (i.e. a shell). Actually, it might be better if minkowski() was modified to not automatically union() the original object into the result. Perhaps by passing an optional parameter to it? I think the following implements Minkowski difference (if I understand correctly what that is). Or are there subtleties I've missed? // Minkowski difference??? of a given object with second given object, similar to the existing minkowski() function. // Shell of a given object with second given object, similar to the existing minkowski() function. Both these modules are off-the-cuff and untested! removed, leaving a hollow rounded corners cube with 1mm walls. I had understood the Minkowski difference the other way round, i.e. not to subtract the original object from the Minkowski sum (which indeed is easy), but rather to subtract the second object from all points on the surface of the first object. So the result would not be a hollow object, but a smaller version of the first object from which the second object was "shaved away" on all sides. My implementation uses the fact that the Minkowski sum acts as a difference when applied to a cavity inside a larger object. 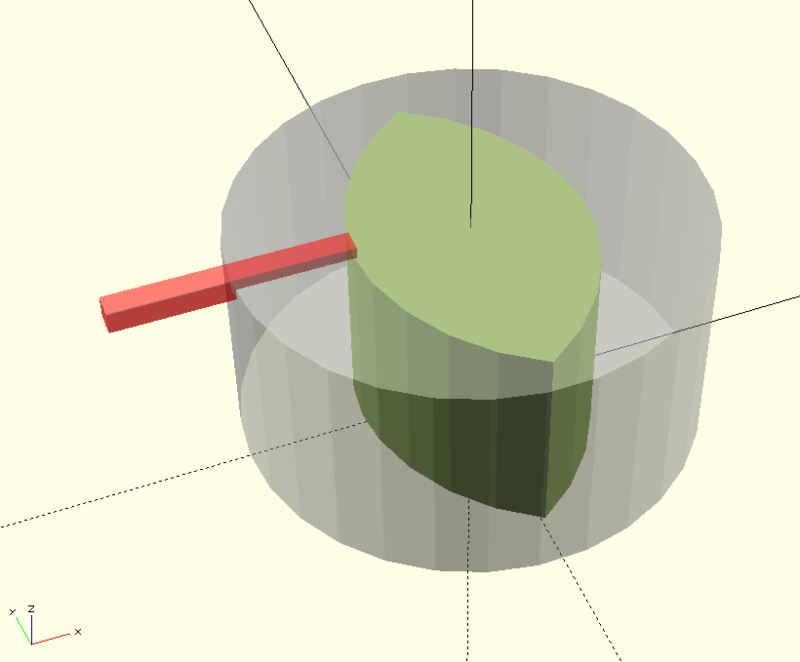 Here is the result of the above example: the Minkowski difference (green) of a cylinder (gray) with a cube (red). Edited 1 time(s). Last edit at 01/26/2017 09:58AM by enif.